Countries is another type from the Russian GP that I first saw in Budapest this year. This one should show that some of the deductions that seem almost correct aren’t always. You might want to resolve it with full clues to get something more like the GP puzzles, though I suspect that that bypasses quite a bit of the logic. Edit Fixed an ambiguity (second try), thanks Neil! 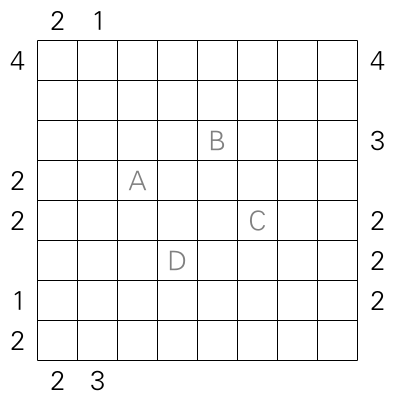 Rules Subdivide the grid into orthogonally connected areas (“countries”), each containing exactly one letter. 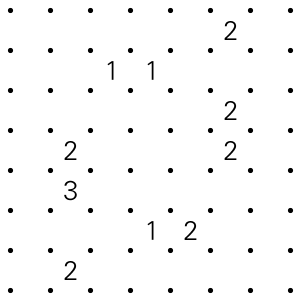 Numbers outside the grid give the number of cells in that row or column that are part of the first country in that row or column. This entry was posted in Puzzles and tagged countries, medium, preview on 2016-08-03 by rob. Long time no post. 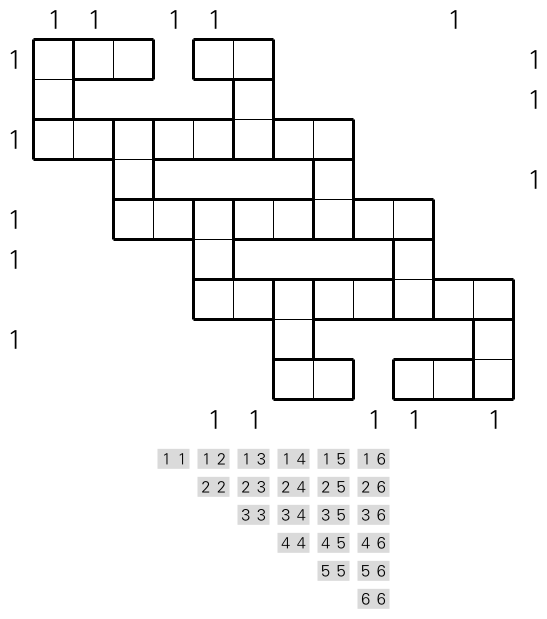 I’ve been making puzzles for croco-puzzle recently, the ongoing Best of 24h series, in particular. 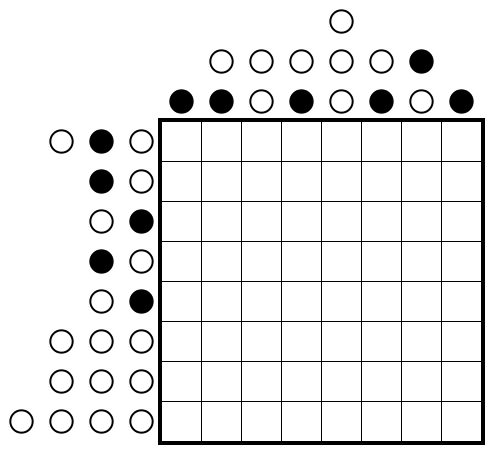 But, here’s a practice puzzle for the coming German GP round next weekend. It’s on the hard side — I’d be interested to hear if you find (a way around) the intended break-in. 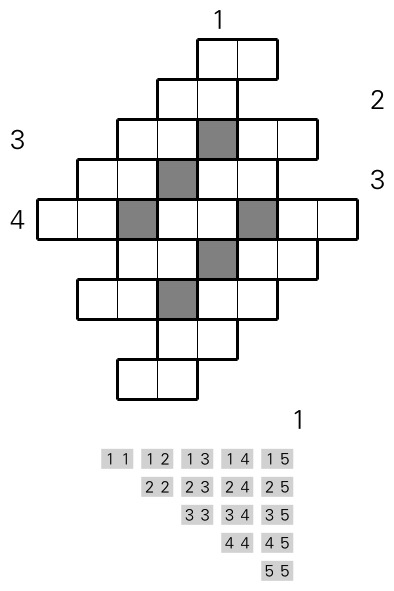 Rules Shade some cells, and fill the remaining cells with digits from 0 to 6, such that no digit occurs more than once in each row or column. 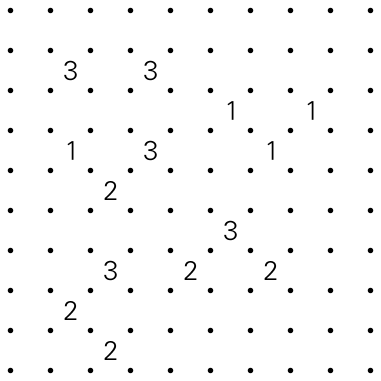 The numbers outside the grid indicate the sums of blocks of connected digits in the correct order. This includes single digits. 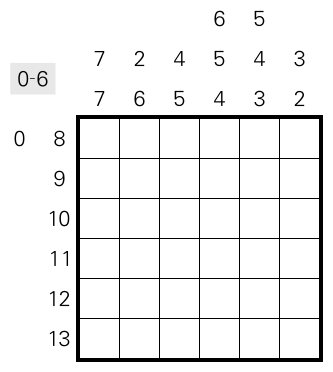 This entry was posted in Puzzles and tagged japanese sums, japanese sums with 0, preview, variant on 2015-05-29 by rob.